A new campaign is calling on Jews to visit the Temple Mount. The initiative has been dubbed LIBA, which in Hebrew is an acronym for Jewish Freedom on the Temple Mount. Veteran Temple Mount activist Rabbi Yehuda Glick has been nominated to head the new program. The program will include organized tours of the Temple Mount that include transportation, a visit to a mikvah (ritual bath), a visit to the Temple Mount itself, and then a tour of the Temple Institute. The tours will be provided at low cost, thanks to support from various sources. The initiative may be controversial within the religious Jewish world. While some rabbis encourage Jews to visit the Temple Mount – which is the holiest site on earth according to Judaism – others say Jews should not visit the site before Biblical rituals ensure they are in a state of ritual purity have been restored. LIBA’s tours will bring visitors only to select parts of the Temple Mount which many rabbis believe Jews can visit without being in a state of ritual purity. Other parts, such as the place where the Holy of Holies once stood, will be avoided. Organizers have two goals: to make Jews a more frequent presence on the Temple Mount – which they hope will help Jews be viewed as a natural part of the scenery, rather than a foreign presence – and secondly, to formally arrange for Jews’ basic religious rights to be respected at the site. 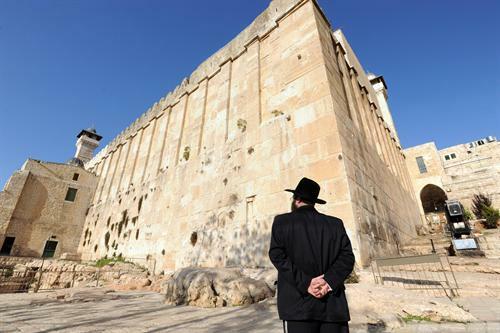 Currently, Jews are often barred from the holy site in response to Muslim unrest. They are also forbidden to pray while on the Mount. Organizers also emphasized the importance of the project to full observance of Judaism. “The Torah commands us to strive for the place which G-d chooses, to reveal it, to raise it up, to visit it, to see it and to be seen by the Divine presence,” they declared. The initiative comes amid increasing pressure to end discrimination against Jews on the Temple Mount. Earlier this week a group of Jewish worshippers were arrested after praying and singing the Israeli national anthem at the site, once again throwing the spotlight on the struggle for freedom of worship at the holy site.